Water is in short supply across much of the country, and responsible gardening means making the best use of available resources. Fortunately, all it takes is a little advance planning to grow a beautiful garden with a variety of plants, including low maintenance, drought resistant perennials. Read on for a few ideas to inspire you. Salvia (Salvia spp.) is a hardy, drought-tolerant plant greatly loved by butterflies and hummingbirds. This low-maintenance cousin to kitchen sage displays tall spikes of tiny white, pink, violet, red and blue flowers. Most varieties are suitable for USDA plant hardiness zones 8 through 10, although some may tolerate cooler climates. Blanket flower (Gaillardia spp.) is a hardy prairie plant that produces flashy blooms of intense yellow and red from early summer through autumn. This tough plant grows in zones 3 through 11. Yarrow (Achillea) is another toughie that loves heat and sunlight. This drought-tolerant plant produces bright summertime blooms in shades of red, orange, yellow pink and white. It grows in zones 3 through 9. The selection of drought-tolerant perennials for shade may be slightly more limited, but you still have a wide selection of lovely plants from which to choose. Keep in mind that almost all shade-loving plants require at a couple of hours of sunlight per day; very few plants will tolerate total shade. Many do well in light broken or filtered sunlight. Deadnettle (Lamium maculatum) is one of the few plants that can survive in nearly total shade and either dry or moist soil. 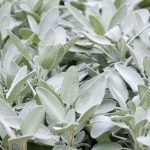 It is appreciated for its silvery leaves with contrasting green edges, and salmon-pink flowers that bloom in spring. Deadnettle is suitable for zones 4 through 8. Heuchera (Heuchera spp.) prefers light shade but tolerates more sunlight in cool climates. It is an eye catcher with clumps of showy, heart-shaped leaves in bold, shimmery colors. Heuchera grows in zones 4 through 9. Hosta (Hosta spp.) 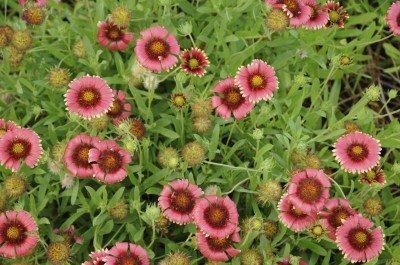 are drought-tolerant perennials that are happy with a couple hours of morning sunlight. Avoid hot afternoon sun, especially if water is in short supply. In partial shade, hosta does fine with about an inch of water every week. Hosta is suitable for growing in zones 2 through 10. Acanthus (Acanthus spp. ), also known as bear’s breech, is a hardy Mediterranean native that tolerates partial shade and full sun. Acanthus displays large, spiky leaves and tall spikes of rose, off-white or purple flowers. Acanthus is suitable for zones 6a through 8b or 9. Beebalm (Monarda didyma) is a bee and hummingbird magnet that thrives in full sunlight or partial shade. Check containers often; bee balm doesn’t need a lot of water but the soil should never be bone dry. Beebalm grows in zones 4 through 9. Daylily (Hemerocallis spp.) is a tuberous plant that sports clumps of large, lance-shaped leaves. Daylily is available in a wide variety of colors, depending on the variety. Daylily doesn’t require a lot of water but appreciates an occasional deep irrigation during hot, dry weather. Daylily is suitable for zones 3 through 9. Purple coneflower (Echinacea purpurea) is an old-fashioned, drought-tolerant perennial that produces loads of purplish-mauve blooms all summer. Butterflies love purple coneflower, which grows in zones 3 through 9. Gerbera daisy (Gerbera jamesonii) is an elegant, South African native that thrives in hot, dry conditions. The huge, daisy-like blooms come in a variety pure colors ranging from white to pink, purple and magenta. Gerbera daisy grows in zones 8 through 11.